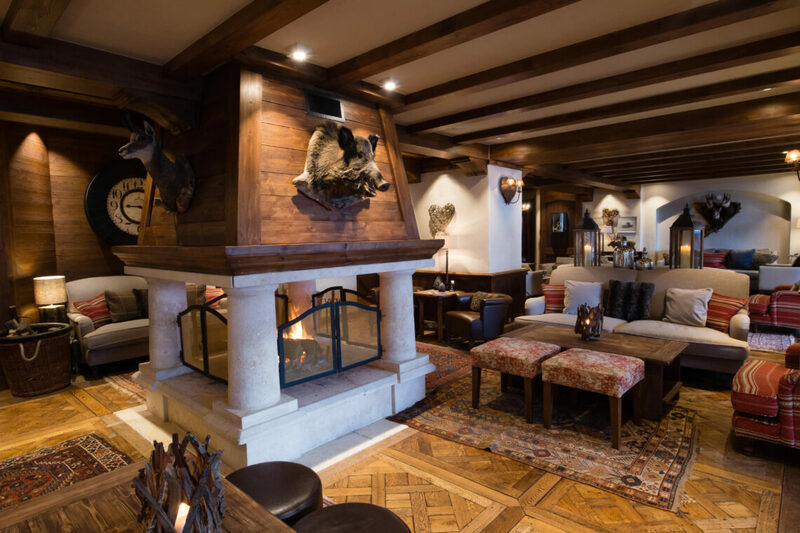 The mountain sister hotel of the Limewood and The Pig hotels from the UK, La Portetta brings their authentic and faultless hospitality to the slopes of the Three Valleys. 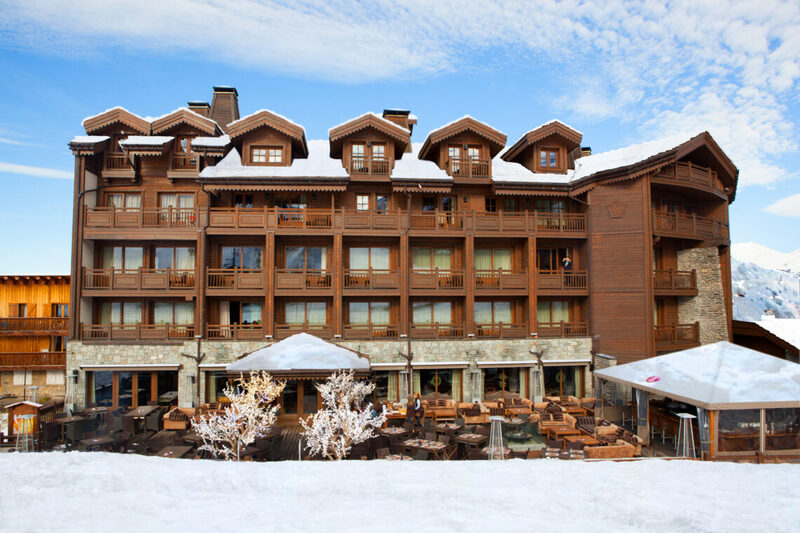 At the foot of the Moriond pistes in Courchevel 1650, with the largest terrace in Courchevel, the emphasis here is very definitely on food and modern luxury. 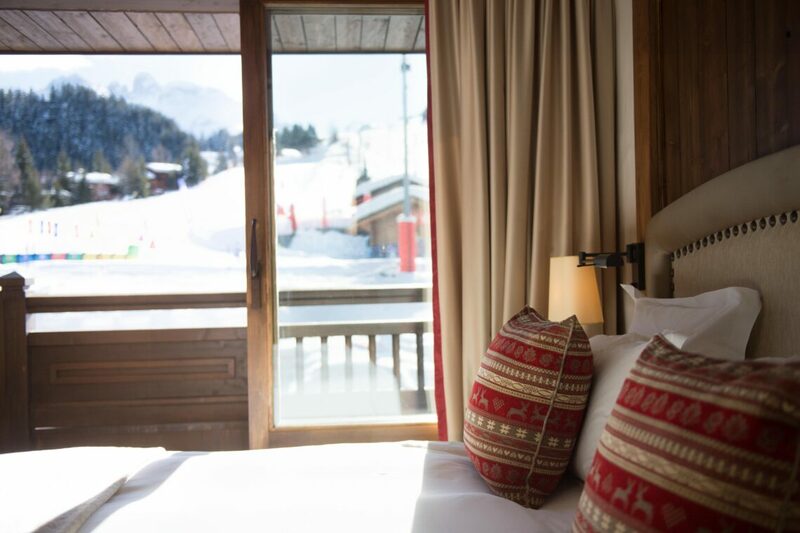 Elegant alpine décor; exceptionally comfortable rooms with snugly duvets; French and Italian inspired cuisine, all combine for a ski holiday to remember. 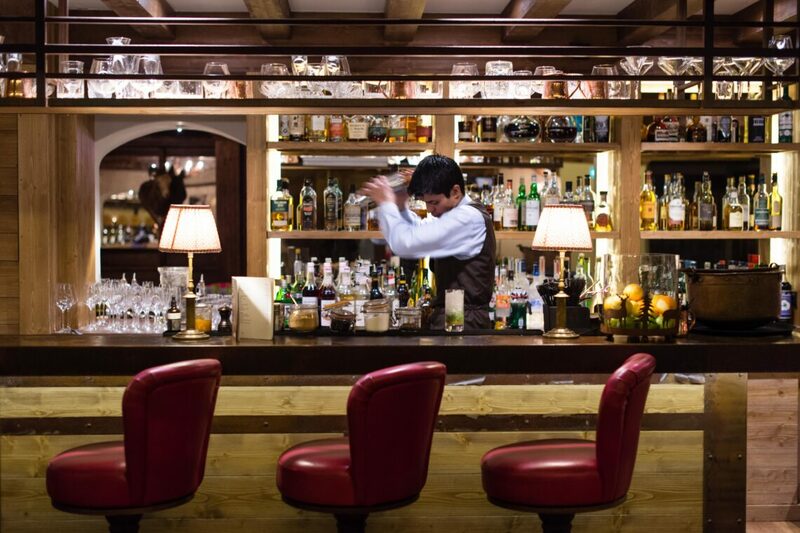 And the legendary Fire and Ice bar, with its enormous log fires, fur rugs and wood burning pizza oven, is arguably one of the best places for a long lunch, or an après-ski cocktail. 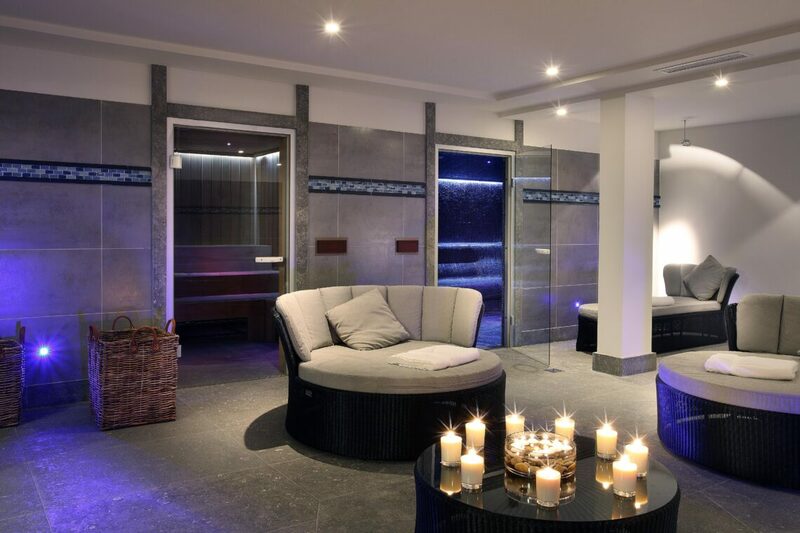 This five* piste side hotel in the heart of Courchevel Moriond has fabulous accommodation for couples and families alike. 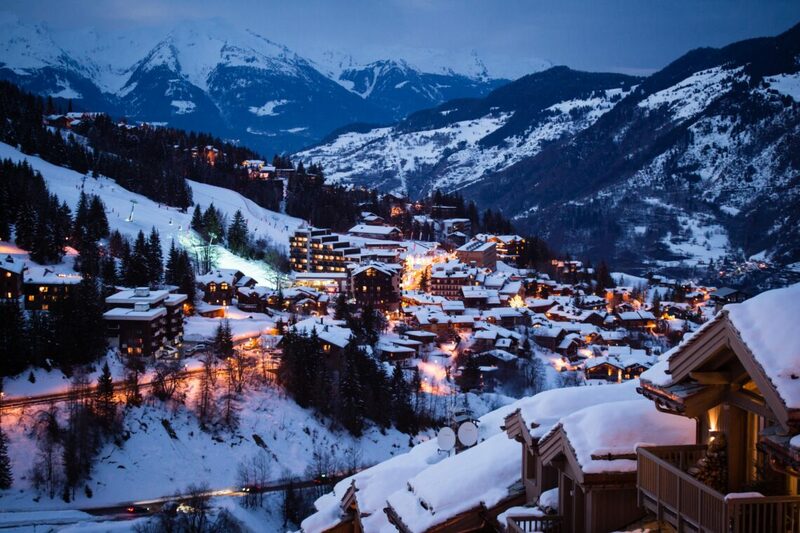 Choose between piste side rooms (slightly more expensive) or those with a valley view. 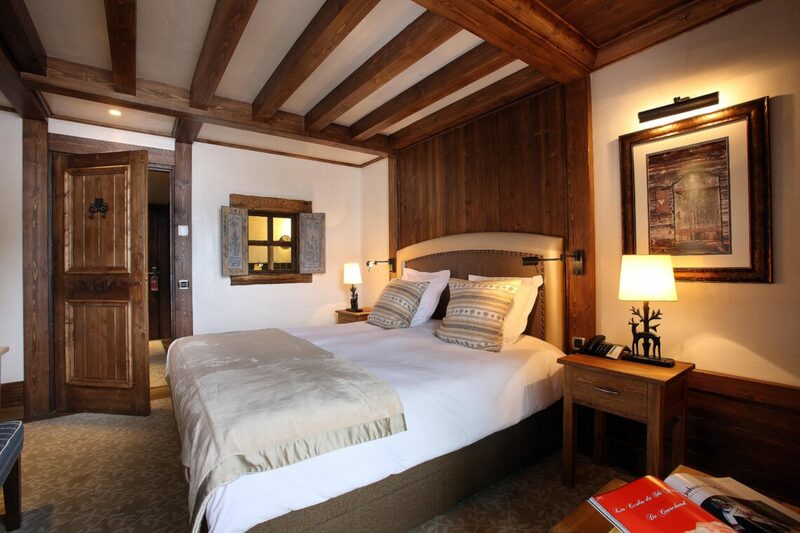 The beds are all kingsized, which can be made into twins, and are very comfortable. The family rooms are really spacious with a sitting area and TV, with a separate childrens’ bunk bedroom with its own en suite shower. Families looking for more space can opt for one of the Lofts, which can sleep from four to six. 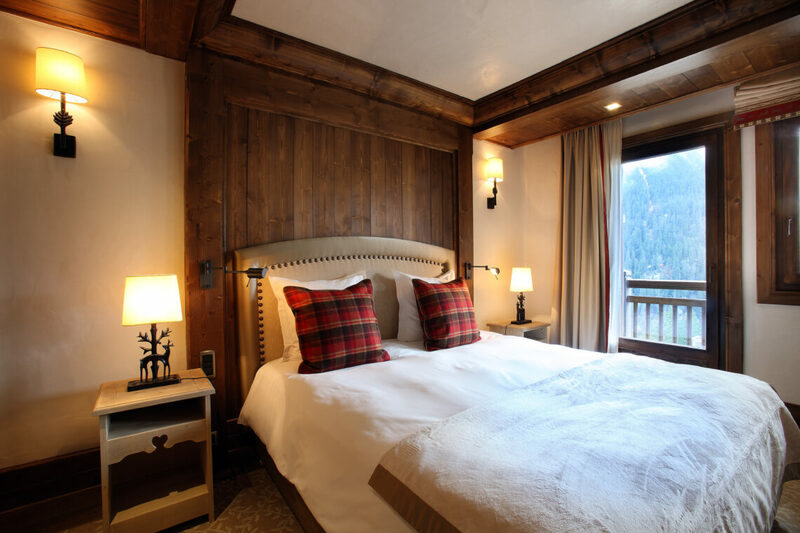 This is like chalet living, with the added bonus of luxury hotel facilities attached. 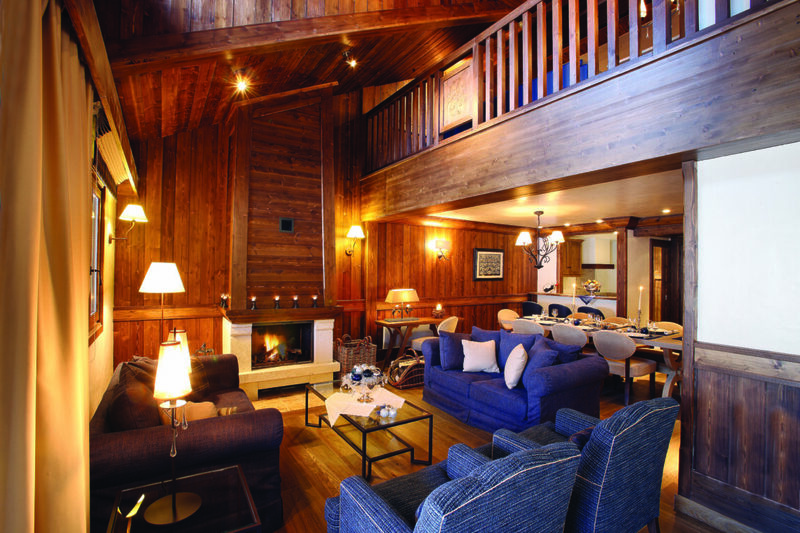 They come with a log fire, small kitchen area, Nespresso coffee machine and some have large balconies. They’re worth it just for the view! 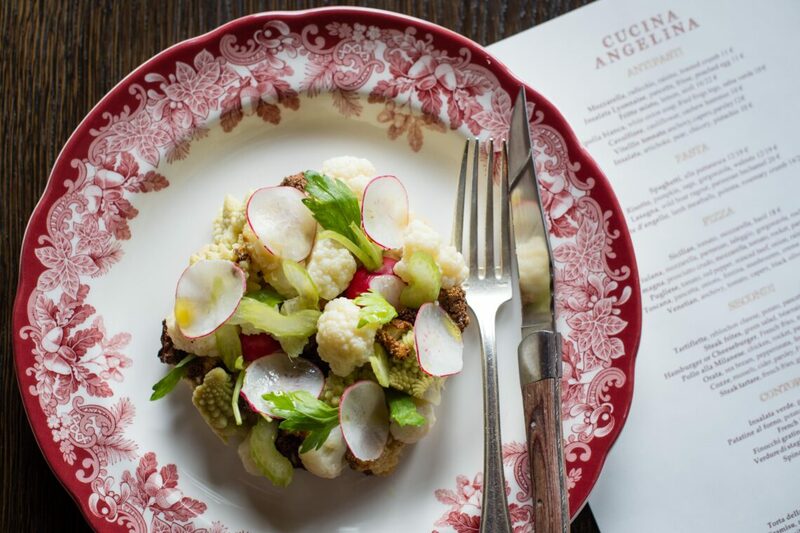 Renowned chef Angela Hartnett’s restaurant on the slopes, Cucina Angelina, is not to be missed, and we recommend it to skiers who are staying elsewhere in the Three Valleys. 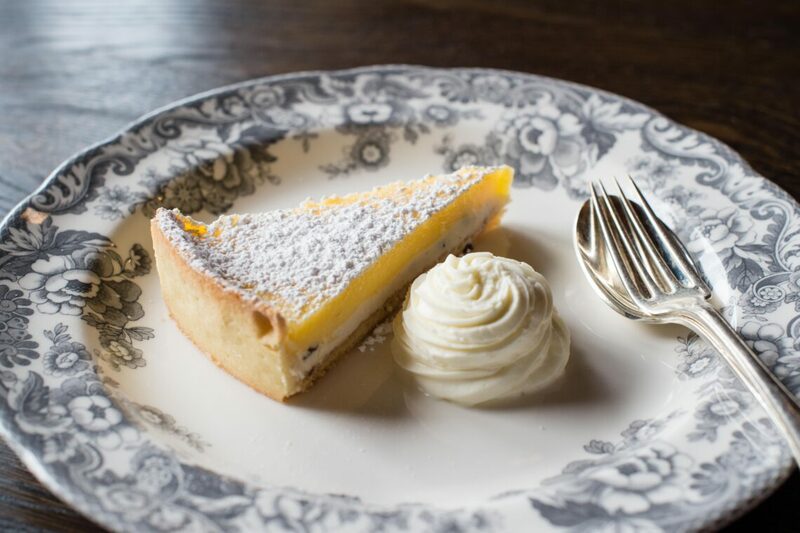 Her Italian and Savoyard influenced menu, using local sourced, foraged and seasonal produce is exceptional, with much of it theatrically grilled over an open fire. 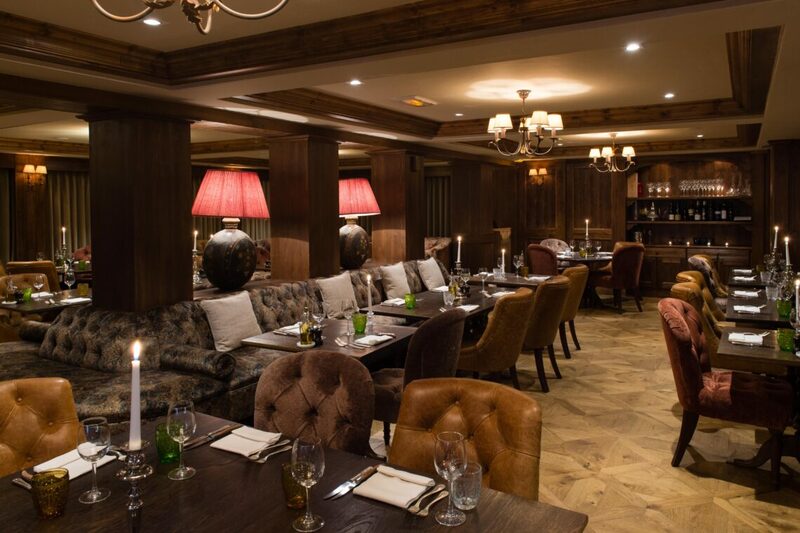 It’s open for lunch and dinner. 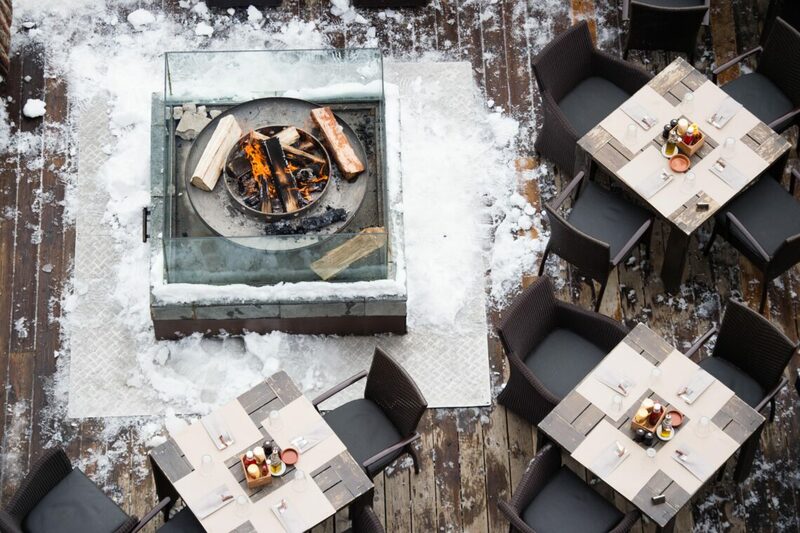 One of our favourite places in the entire resort is the Fire & Ice Bar – the largest terrace in Courchevel. Lunch in the sun here can easily turn into dinner – you can’t stay there without trying a pizza from the wood fired oven. 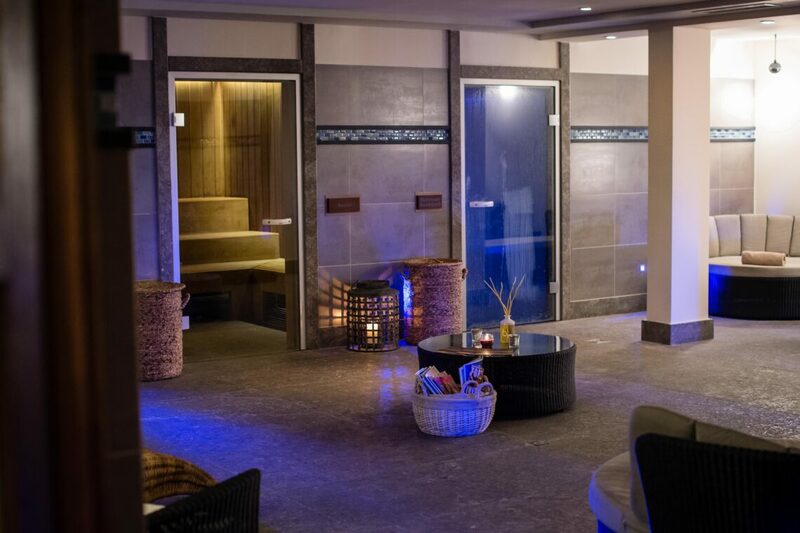 Being a stone’s through from the ski school meeting point, this is a very handy location for families. Portetta can provide cots for babies and babysitting can also be arranged. The hotel has a huge stock of board games and DVDs for families too.